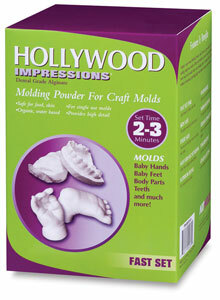 ArtMolds Hollywood Impressions is skin safe, and easy to use. Just add water and mix. Make a one-time mold with detail so sharp it actually reproduces fingerprints. 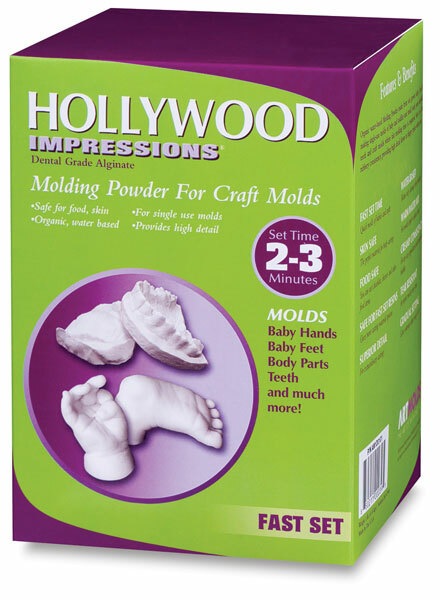 It's the perfect choice for quick and easy moldmaking, body casting, and special effects. This mixture has a 2–3 minute set time. ® ArtMolds is a registered trademark.™ FiberGel is a trademark. ™ Hollywood Impressions is a trademark. ™ MoldGel SloSet is a trademark.